Exploring Future Strategies for Systems Management | Business Article | MBA Skool-Study.Learn.Share. As the saying goes, IT changed everything. Yes it did. Now, virtually everything has IT as its base framework. The large scale applications of IT have made our lives inevitable without it. The rate of growth in this sector has been increasing. New technologies and innovations act as catalyst to this exponential growth. There will be challenges in the coming years .It is because with the advent of new technology the needs and requirements of businesses are also changing. The market scenario is also becoming very demanding. The IT framework should be evolved in order to continuously optimize the services and effectively manage the data and knowledge in the system. Information technology is a highly important aspect today. Having the ability to transfer data, store data and keep it safe is crucial in many ways. Without information technology many corporations would find it difficult to keep information stored securely. Thus it becomes a very important dimension to concentrate on how to build capabilities and devise sustainable competitive strategies for the future. Technology, way to go: Each day new technology evolves. The innovation of researchers in this field adds value to the technological aspect of the industry. Keeping in mind the competition of the market, each new technology has to be better from the previous. So the industry has to stabilize its RnD cell, the creative minds and their incentives too. Certain technological fragments which need a development are the incorporation of parallel programming in the service provided, the reliability of cloud computing, the use of business analytics etc..To be ahead in the market, every IT firm should contribute more inventions in this domain. Long term storage and management of data- Exponentially high amount of data is required to be stored. In this digital age when everything is stored and transferred using computers, it becomes highly crucial to maintain these data. It is a challenge for the storage industry as these data increase at a great rate. These massive amounts of data are termed as Big Data. It is very difficult to collect and analyze such huge amount of data. Big data may be any type, such as business transactions, photos or videos, blogs and social media. It is a greater challenge to derive meaningful information from these huge chunks of data. The industry needs to build up strategy based on advanced technology and time constraint as well. Identifying financial consequences- In this era of economic downturn clients will definitely be skeptical about spending much on IT services. Moreover the competition in the market is one deciding factor of financial strategies. To make the business executives certain about the investment results, the industry should be capable of making comprehensive and lucrative offers. A client gets convinced if a profit in the business can be assured to him. The industry should chalk out plans to even sustain the uncertainty of the economic ups and downs. Efficient Security Systems-Security and reliability of data and information is the backbone of systems management. It is vital to be worried about information security because much of the value of the business is defined by the value of the information. Secured information acts as a competitive advantage. The public is increasingly concerned about the proper use of information, particularly personal data. The threats to information systems from criminals and terrorists are increasing. Many organizations will identify information as an area of their operation that needs to be protected as part of their system of internal control. A loophole in the security system will invite huge losses for any firm. Thus security management is very crucial. Strengthening the infrastructure: The emerging technologies should flexibly balance the computing platforms .There should be rise in e-business, high-speed networks and open interoperability standards .In this way value can be delivered to the customer. Technology is moving so fast that most people can’t keep up, even if they try. While the improvements are good, it also means that you have to be on your toes to ensure that you jump at the right time to gain the upper hand on the competition. Mobile technology, social media, cloud computing will provide technological solutions. The Internet as we know it now is on the verge of some major changes, and IT as a whole is shifting. It is all a matter of how new, how innovative a firm is. It’s a learning curve that never ends, and only those who can follow it will succeed in this industry. Outsourcing services will also help the company get a profit. The storage industry is continuously challenged as big data increases exponentially. However, storage can be enhanced with more terabyte drive arrays and more sophisticated indexing methods. The greater challenge is being able to derive meaningful information from data in petabyte and exabyte volumes. Big data analytics break down the data sets into smaller chunks for efficient processing and employ massively parallel computers to derive intelligence for effective decision-making. 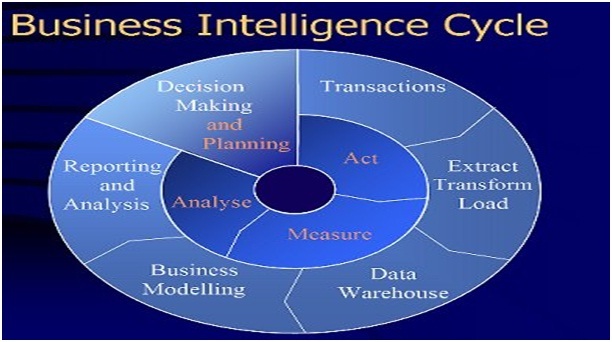 The objective of data analytics is to facilitate better business decisions. Data analytics can be done with the software tools which are commonly used as part of advanced analytics disciplines such as predictive analytics and data mining. Various new technologies form the core of data analytics. So as a strategy, organizations should start data analytics initiatives as soon as possible in order to keep themselves at par with other market players . The organizations may also start offering cross-technology implementations. Information Security system: The electronic age of today is giving rise to emerging structures in technology. It is certain that the future of information security is more challenging. Information systems security will have to address not just the data but also its interpretation. This is because in the future the treats to information will be in myriad forms .So, IT firms should start preparing for the future. The firms should use network-based tools to filter out malicious scripts. IT must look at the script-filtering features of their Web-enabled applications. Assigning internal advocate, developing firm-wide policies, developing an information security roadmap, providing training etc, are some of the strategic steps that IT industry can work upon. Foresee Financial Consequences: The Financial Planning and Analysis team acts as both financial planning experts and trainers, mentoring service owners and working to instill a culture of longer-term business thinking across the organization. Finance management should be made compatible with data and information. Integrated systems should be implemented for the same. System for generation of consolidated information should be implemented in order to avoid operational difficulties and low performance. Web-based and graphic environment should be used for transparency of the system. Web applications should be associated with digital signature, as finance is a very sensitive domain to manage. In addition to these, system should be customized to be able to make market forecasts. The last word: With so many challenges existing in the IT industry, the future becomes very unpredictable. It is therefore advisable for IT firms to keep themselves updated with new trends in the IT market and implement them at the earliest. Some of the strategies discussed above are quite revolutionary and can in fact be very useful in building a strong framework and a sustainable functioning body. Challenges will always be there, but ideas and innovations can be an answer to them. As it is rightly said by Confucius, Study the past, if you would divine the future. This article has been authored by Swetali Kar from XIMB.